Part 1 and Part 2 of this series dealt with setting up AWS, loading data into S3, deploying a Spark cluster and using it to access our data. 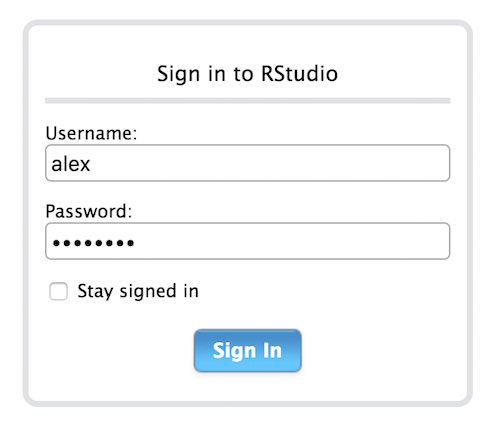 In this part we will deploy R and R Studio Server to our Spark cluster’s master node and use it to serve my favorite R IDE: R Studio. We will then install and configure both the Sparklyr and [SparkR][sparkR] packages for connecting and interacting with Spark and our data. After this, we will be on our way to interacting with and computing on large-scale data as if it were sitting on our laptops. $ sudo yum install openssl openssl-devel - ensure that OpenSSL is installed (another dependency for the httr R package). Installing R Studio on the same local network as the Spark cluster that we want to connect to - in our case directly on the master node - is the recommended approach for using R Studio with a remote Spark Cluster. 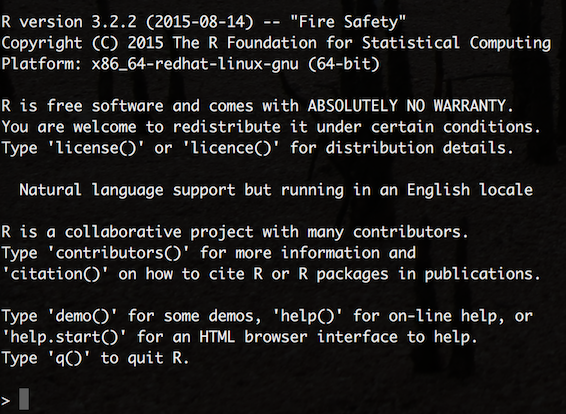 Using a local version of R Studio to connect to a remote Spark cluster is prone to the same networking issues as trying to use the Spark shell remotely in client-mode (see part 2). to install the devtools R package that will allow us to install packages directly from GitHub repositories (as well as many other things). If OpenSSL and Curl were installed correctly in the above steps, then this should take under a minute. Sparklyr is an extensible R API for Spark from the people at R Studio- an alternative to the SparkR package that ships with Spark as standard. In particular, it provides a ‘back end’ for the powerful dplyr data manipulation package that lets you manipulate Spark DataFrames using the same package and functions that I would use to manipulate native R data frames on my laptop. #          5.1         3.5          1.4         0.2 "setosa"
#          4.9         3.0          1.4         0.2 "setosa"
#          4.7         3.2          1.3         0.2 "setosa"
#          4.6         3.1          1.5         0.2 "setosa"
#          5.0         3.6          1.4         0.2 "setosa"
#          5.4         3.9          1.7         0.4 "setosa"
#                                     and Spark Streaming for stream processing. Execute line-by-line and check the key outputs with those commented-out in the above script. 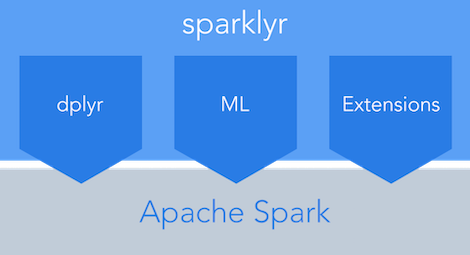 Sparklyr is changing rapidly at the moment - for the latest documentation and information on: how to use it with the dplyr package, how to leverage Spark machine learning libraries and how to extend Sparklyr itself, head over to the Sparklyr web site hosted by R Studio. Again, execute line-by-line and check the key outputs with those commented-out in the above script. Use the sparkR programming guide and the sparkR API documentation for more information on the available functions. We have nearly met all of the aims set-out at the beginning of this series of posts. All that remains now is to install Apache Zeppelin so we can interact with Spark using Scala in the same way we can now interact with it using R.